The "Lunar Sabbath" is a fringe Christian belief that the Sabbath day is not fixed at the 7th day of the week but is dependent on the phase of the moon, Since seven does not divide evenly into the 29.5 day lunar cycle, it requires some days of the month not to be counted. Yet if an interpretation of the Bible requires you to change how you count to seven in order to fit Scripture, could it really be what God meant? If you are a Sabbath keeper, you may one day encounter the "Lunar Sabbath" or "Lunar Shabbat" doctrine. This theory says that the fixed traditionally Jewish timing for keeping Sabbath of Friday sunset through Saturday sunset is a corruption of an "original" Biblically instructed reckoning of Sabbath based on the lunar cycle. Under (one version) of this model, the Sabbath falls on the 8th, 15th, 22st and 29th day of each lunar month, or at the first quarter, full moon, last quarter, and new moon. The claim is made that God intended that one can just look up in the sky and know when the Sabbath is. Hopefully using the sky as your calendar is easier than it sounds, because the lunar Sabbath can fall on any day of the week, and with each new lunar month, it falls a day or two later in the week than the last month. As a result, to follow this system one must deal with the difficult, if not impractical, situation of having to take a day off from work during the five day work week over 70% of the weeks—on a rotating schedule, no less. Of course, the fact that a commandment of God is hard to follow would not be a valid reason to discount it or doubt it. But if you are sensing already that something does not sound right with this theory, you are not alone. In my experience much false doctrine comes from breaking the rules of how to properly read the Bible. We will see that is exactly the case here. 11 For in six days YHVH made heaven and earth, the sea, and all that in them is, and rested the seventh day: wherefore YHVH blessed the Sabbath day, and hallowed it. At first glance, the Lunar Sabbaths on the 8th, 15th, 22nd and 29th, spaced 7 days apart, resemble the biblically prescribed seven day Sabbath cycle. However, this resemblance ends once you pass a month boundary. Instead of there being the required six intervening work days between one Sabbath and next, you instead have alternately seven or eight days between the last Sabbath of the month on the 29th and the first Sabbath of the next month on the 8th. This is due to the fact that the lunar cycle averages 29.5 days, instead of the needed 28 days to make this idea work. This should be a fairly obvious death knell to the Lunar Sabbath theory. You may wonder how anyone could answer this clear mathematical impasse? Proponents sidestep it by claiming that those one or two extra days at the end of the month while the moon is dark do not count because hidden days are "void" days. In other words, the seven or eight days interval between Sabbaths at month boundaries are equated with the required six day interval. If this sounds irrational to you then you are not alone. ...which naturally cause most of us to reasonably conclude that the Sabbath is the last day of a repeating seven day weekly cycle? Is God capricious and prone to playing tricks on us to trip up sincere truth seekers? Why not just tell us, "You shall surely keep one day every quarter of the moon as a Sabbath unto me" instead of explicitly describing a repeating seven day weekly cycle for reckoning Sabbath? Obviously, these are irrational answers to the clear conflict between Lunar Sabbath and the Bible. When a doctrine is in conflict with pretty clear and explicit Scripture, it should be rejected, without fear. When this theory is so easily proven false mathematically just by following it across the month boundary, then it must be rejected. It is not necessary to hear any more of the mountains of support usually presented for the theory. The God of the Bible does not expect us to use irrational logic to interpret his words. And this is exactly the point where most people misstep in evaluating the Lunar Sabbath. They accept (at least momentarily) the irrational math to make it fit a seven day cycle, and keep listening to the rest of the inferred scriptural support offered for it. And there are entire books full of evidence for this error, in fact. This should be no surprise, though. If you have been around long enough, you probably have heard the Bible used to support many things it was never intended to. Indeed, anything is possible when you abandon the proper and reasonable approach to handling the Bible. As a matter of fact, over the years I have adopted a guideline regarding this. Once I realize a person is using different rules of interpretation for the Bible, I end discussion with that person. For such people, it is not simply a matter of showing them a literal verse that plainly contradicts their theory as it is with most people who come to me asking for help. They will say, like Lunar Sabbath proponents, that the verse does not contradict their theory but means...something else. So the likely result with such types is an endless debate. For example, proponents will claim, "every single shabbat in the entire Bible which can be pointed to a specific date, occurred on 8-15-22-29 - EVERY one. Coincidence?" Some even offer cash bounties to anyone who can find a case in the Bible that contradicts this claim. But, to do this would be an exercise in futility. Whether it is true or not that all the Sabbaths fall on those days, this, once again, is not how to properly determine the timing of Sabbath. There are clear scriptures telling us explicitly when it is, and those should be our foundation (along with consistent universal counting from the number one to seven), not circumstantial evidence. And if you somehow did get them to admit this claim is erroneous, they have dozens of other arguments left waiting to be disproved. It's better to learn to spot the key false assumption that all false doctrines have and avoid getting lost in a sea of side issues. But if you did not recognize the unsurpassable problems with this theory, hopefully you at least recognized how radical it is, and have the wisdom to know to tread carefully before adopting it. For whenever you are presented with something new and radical as God's instructions (like this "Lunar Sabbath" is purported to be a restoration of) we need not and should not accept it hastily. We need not fear missing what God might be trying to tell us while waiting until our doubts are addressed properly. We should trust that if God is really trying to correct us on a point, then he will be able to remove all doubt and rationally convince us of it. God is more than able to give us all the reasonable proof we sincerely need to be sure something is of him before we adopt it Never doubt that. It is important to pray and wait before doing something so radical and life-changing. If a teaching requires you suspend good common sense, such as how to count properly, then do not accept it no matter how much "supernatural" or even scriptural confirmation you believe you have received. You can support anything from the Bible to fool people who have not yet acquired well-developed discernment and critical thinking skills (skills that are not stressed in our education systems which reward you mainly for accepting and regurgitating what your teachers tell you). I wouldn,t give up Lunar Sabbath for the world, next to knowing Jesus it is the greatest insight i have ever gained this light from Messiah has transformed my life, and the blessing,s are enormous and continuos. Once you gain it you will be attacked severly, gee,s i wonder why? To obey this concept of truth your faith must be strong and unmovable. And you will be truly going against the flow of the world. It cost you walk in it and it,s an obviously a cross that not all can carry only the few, i believe the elect. Be Blessed brother Gil. Gilbert, Neither keeping sabbath nor lunar sabbath makes you elect. The elect are those who have chosen to serve God which involves his law of love that fulfills the law and prophets (Mt 7:12). When asked about eternal life, Jesus left off sabbath and other ritualistic commands (Mt 19:17-19). But if you feel convicted to do it, I’m not telling you not to, go in peace. Just stating it’s not God’s will for man to keep any Sabbath today. In the Millennium it seems it will be commanded (Isa 66:23). This is not the case today or we would have the clear prophet instructing us (like Israel did) and penalties for not obeying exacted clearly as the prophet said (like Israel had and received). We see this in prophecy that going along with the Torah Sabbath requirement, there is a penalty of drought for disobeying the Torah pilgrimage feasts like Sukkot/Booths (Zech 14:16). no where in scripture does it suggest a continual 7 day week, we assume this from the Gregorian calender. The verse you used, count 7 Sabbaths perfect, literal hebrew translation, implies non-perfect Sabbaths. What is the difference? Paul says Jesus gave the law to Moses at Sinai, in John 14, Jesus says if you love me keep my commandments. These are the 10 commandments, an outline for the torah, the law which tells us how to love one another,Jesus 2nd command to love God with all your heart. We have to unprogram our greek mind set and programming to understand a lot of the Bible. The bible is a history of Israel written by Israel for Israel. Jesus said he only came for the scattered sheep of Israel, only Israel. Paul explains how we as believers can be adopted into Gods family, Israel in Galations and Ephesians. David, except when Jesus was asked how to enter the kingdom, he answered with the six love commandments of the 10C only, not the Sabbath or other non-moral commandments of the 613 commandments of the Torah (Mt 19:17-19). Sabbath was left out as it was only for ancient Israel and is not a moral command anyway. It was also left out of the Sermon on the Mount and every other instruction of Jesus. The sermon was summed up like the Bible with doing the Golden Rule for God. In my experience, those who focus on Sabbath and feasts (and avoiding pagan holidays) tend to brush aside the two most important commandments (love God, love neighbor) that sum up the rest. They don’t get very good at living them which explains why so many will be told they are lawless and they never knew Jesus (Mt 7:23). Essentially they are following Moses, not Jesus. It’s a ditch. You realize the verse you used, Mt. 7:23, the word lawlessness, the greek word “nomas” means Mosaic law or Torah. Those working torahlessness he says to depart from him. Why would Jesus and Paul teach on keeping the Sabbath if everyone is already keeping it? They both observed Sabbath and the festivals. Jesus sent his disciples to Pentacost(Shavo’ote) festival to send the Holy Spirit to them. If its done away with, why continue to observe them? If Jesus is our example, what did he follow? Paul said follow me as I follow Messiah Jesus, what did he follow? David, Hebrew Roots folks can claim all they want “Jesus kept and taught Sabbath,” but those of us who have read the gospels carefully to check up on that claim know it’s false. There is not a single statement saying “Jesus kept/rested on Sabbath” nor him telling anyone to do so. We have only statements about him breaking it (John 5:18) or him leaving Sabbath out when he “should” have included it (Mt 19:17-19). Then, when challenged over breaking Sabbath, he claimed that he didn’t have to keep Sabbath, twice (John 5:17;Mt 12:1-8=Mark 2:27-28)! (Full explanation here.) This makes sense given all his teaching were about love of neighbor and faith in God, not following Moses’ Torah for ancient Israel. Paul wrote plainly against Torah-keeping in Galatians and elsewhere in conformance with the Acts 15 council decision that Gentiles are free of that yoke. I’m not really interested in debating this topic. If you want to practice Torah, then do so. I have no problem with it, only your misuse of the Bible to defend it. Just be aware you’re only following Moses and not listening to Jesus or even Paul, whose plain words and teaching instructed believers to focus on loving their neighbor in faith for God, not “observing days, months, seasons and years” (i.e. sabbath, new moon day, festival seasons, sabbath years – Gal 4:10). The Lunar Sabbath is EASILY PROVEN WRONG because not all weekly Sabbath days fall on the 8th, 15th, 22nd and 29th days of the lunar month. The Messiah was crucified on the 14th (John 19:31). He spent THREE DAYS and THREE NIGHTS in the grave (Matthew 12:40), and then He was resurrected on the 17th. 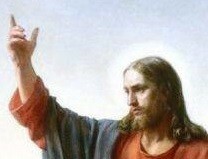 The Scriptures say that at that time was dawning towards the FIRST DAY OF THE WEEK or the 18th (Mark 16:1-2) . He died on sunset just before the HIGH SABBATH (First Day of Unleavens) and arose sunset on the WEEKLY SABBATH (The Seventeenth). Mary M. visited the tomb early the FIRST DAY OF THE WEEK which was the 18th. Being able to read scriptures and counting to three makes it SIMPLE to disprove the Lunar Sabbath theory.